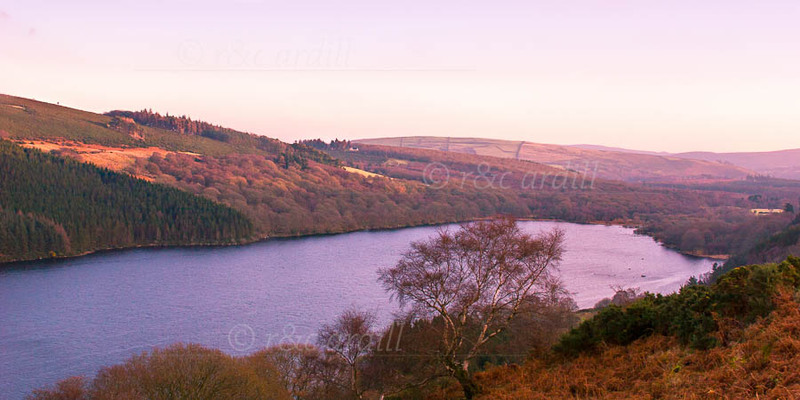 This is an evening view of Lough Dan, looking towards the South. The scenery around Lough Dan, a boomerang-shaped lake in the Wicklow mountains, is spectacular. Two rivers feed into it: the Inchavore river and the Cloghoge river which comes from Lough Tay. It flows out through the Avonmore river.